The tradition of buying fresh cheese at markets has been around since before the medieval times. Cheesemaker’s would shape and mold cheese to capture the attention of the wealthy passerby’s at riverside markets throughout central Europe. It was the only way to sell the soft, sweet cheese without the convenience of store refrigerators and the modern packaging we have now. I still value this tradition…meeting and talking to the person who made your cheese and brought it fresh from the dairy to be consumed within the following days. You may discover cheese you would never find in the supermarket. For a list of farm markets close to the hood, check out Farmer’s Markets Ontario or your provincial, local farmers market listings. 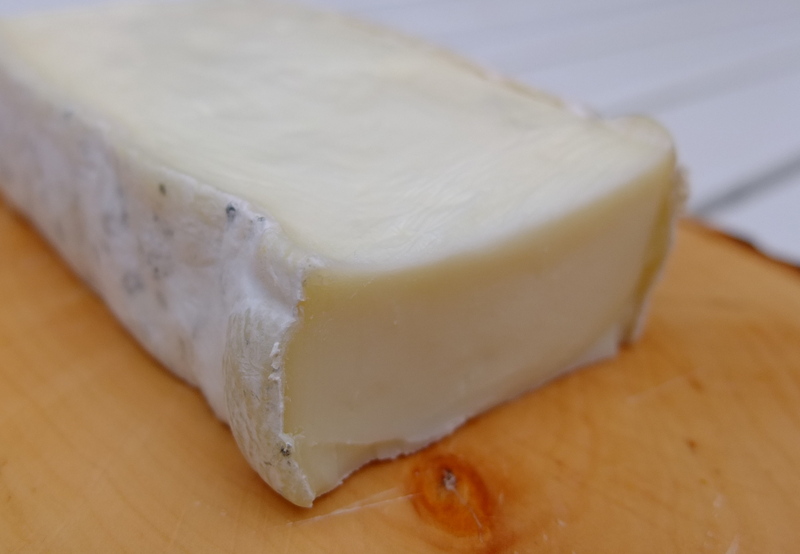 I bought sheep Taleggio from Monforte this past weekend at Brickworks. It was fresh, light and lactic with flavours of sour cream. The texture was like putting a mini marshmallow on your tongue and letting it roll around and melt. We consumed the entire piece within one night with the help of friends. I would like to try this cheese again as an addition to a summer salad alongside a bottle of Vino Verde.